A skin peel, also known as a chemical peel, is a science-based treatment that offers one of the most powerful non-surgical skin improvements available. It involves the application of a highly specialized acid and enzyme solutions to removed damaged layers of cells from the skin’s outer surface – revealing more glowing, healthy and youthful skin. The 45 minute treatment is provided in our spa and can be augmented with our “White Light Therapy,” which is an LED treatment for more assertive results for an additional fee of $75 or ultra microdermabrasion for more intense results. To achieve younger looking and more glowing skin with fewer fine lines and wrinkles. For Hyperpigmentation – to achieve a more even skin tone and reduce dark and age spots, revealing a move even tone and healthier looking skin. For Acne and acne scarring reduction and for the reduction of oil and acne causing bacteria that may be embedded in pores. All chemical peels require a 1 week follow up facial ($75) to remove additional and left over dead skin cells and rehydrate the skin and purchase of Chemical Peel Skin Care that is required during 7 days following peel (approximately $90-$110). Additional Options such as Accelerated LED, which increases cell turnover is available and encouraged with peels but not required. 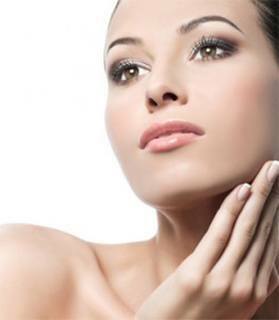 $85 per treatment or available at Facial Club pricing of 4 LED Treatment Pack $300.